Set of 3 $2367 Black or Brown Leather Match, Power Recline with LED and Built-in USB. This model comes standard with our exclusive VEGA Accessory Dock™, a powered aluminum cylinder located in front of the cup holders. 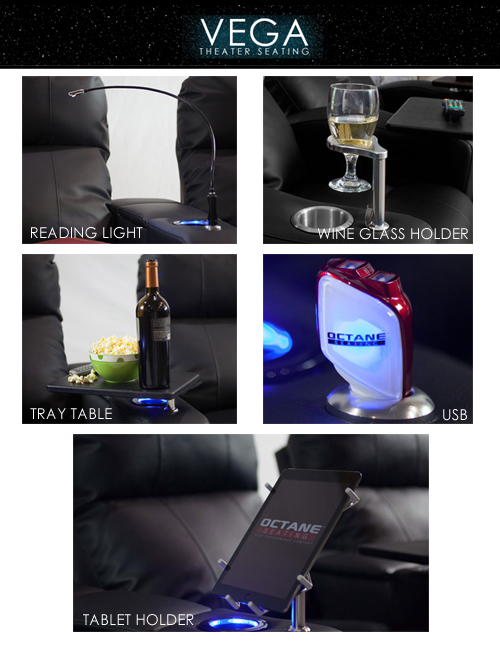 The docking station fits all of our accessories such as our swivel tray table, wine glass holder, LED Flex reading light, dual USB charger and an Ipad & tablet holder.